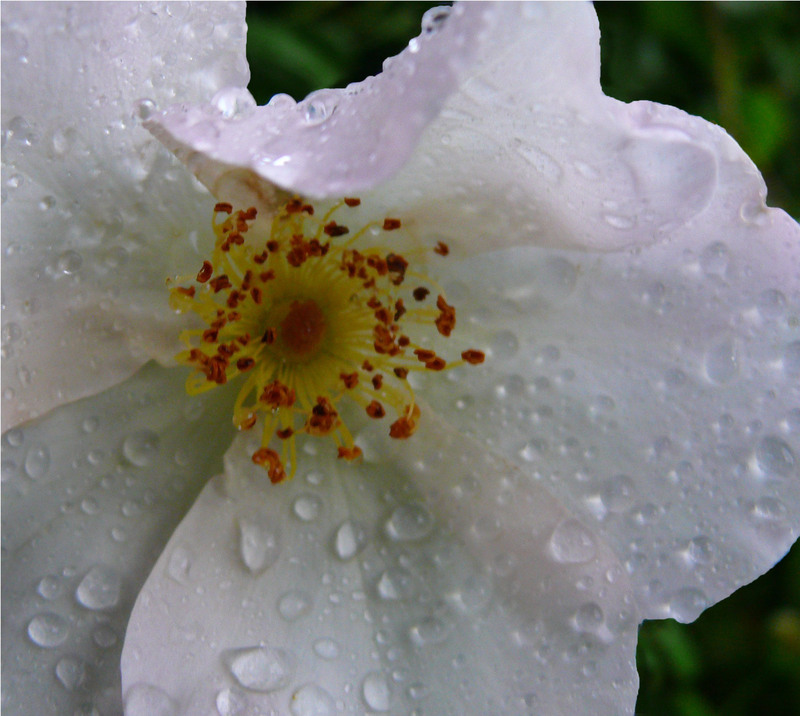 One of my favorite things: prowling my garden after a rain and capturing close-ups. Here’s the rose ‘Sally Holmes’ this morning. Yes, it seems a bit out of focus, but I can’t tell if it’s the image or my eyes. I’ll have my cataracts “done” this Friday and next. Hopefully the new outlook will improve what you see in this blog. And hopefully you’ll see more from my garden prowls. Actually, I lens-capture plants, bugs, and weather almost daily, but the big obstacle to posting them is trying to correct their blurriness. 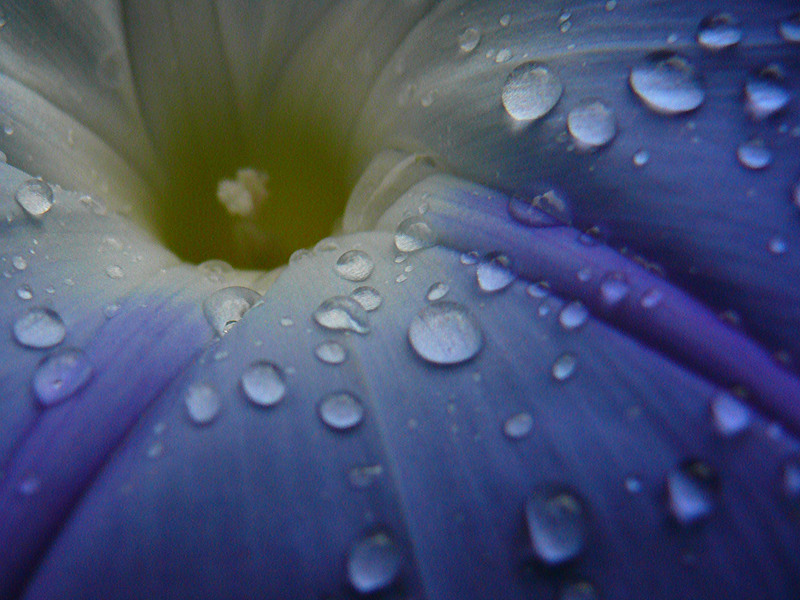 Morning Glory ‘Heavenly Blue’ below. A little more depth of field to catch the pistil would be nice. I tried to fix it in PSE9, but there’s nothing like the real thing when it comes to close up photography. So I’ll keep trying, and so should you. Prowl your neighborhood and garden, and catch the sweet messages sent by our Heavenly Father Creator. This entry was posted in Creation, Flora, Nature, Pacific Northwest, Photo Essay, Rain drops, Smiles Photography, Washington State, weather, western United States. Bookmark the permalink.